Dr C.K. Leow graduated from the University of Bristol, England. After obtaining his Fellowship of the Royal College of Surgeons of England, he joined the John Radcliffe Hospital, Oxford and the Nuffield Department of Surgery, University of Oxford for his higher surgical training. While in Oxford, Dr Leow was awarded a Medical Research Council Training Fellowship, a 3 year research fellowship which is seldom awarded to surgeons. He spent the 3 years in The Nuffield Department of Surgery, University of Oxford, researching pancreatic islet transplantation and its effect on diabetes and its complications. Part of this work allowed Dr Leow to obtain a Doctorate of Medicine degree. Apart from completing his higher surgical training in general and vascular surgery, Dr Leow also held the post of Fellow in Transplantation at the Oxford Transplant Centre for two years. In that period he became fully trained as a renal transplant surgeon under Professor Sir Peter Morris. It was during this time that Dr Leow was instrumental in performing the first two cases of pancreatic islet transplantation for diabetes mellitus in Oxford, England. To further widen his experience in general surgery, Dr Leow joined the Department of Surgery, Chinese University of Hong Kong as Visiting Lecturer in Surgery with particular emphasis on liver, pancreas, gall bladder and colon surgery. At the end of the one year, Dr Leow was asked to join the department permanently. He eventually became Associate Professor of Surgery and Head of the Division of Hepato-pancreaticobiliary and Colorectal Surgery at the Chinese University of Hong Kong. The surgical work undertaken by the division includes all aspects of complex surgery on the liver, gall bladder, pancreas and colon; liver transplantation and advanced laparoscopic surgery for benign and malignant hepatobiliary and colon conditions. Subsequently Dr Leow was head-hunted to the National University of Singapore (NUS) as Associate Professor of Surgery and Senior Consultant Surgeon at the National University Hospital (NUH). Dr Leow was tasked to form and develop the Division of Hepatobiliary and Pancreatic Surgery at the Department of Surgery, NUH and NUS. 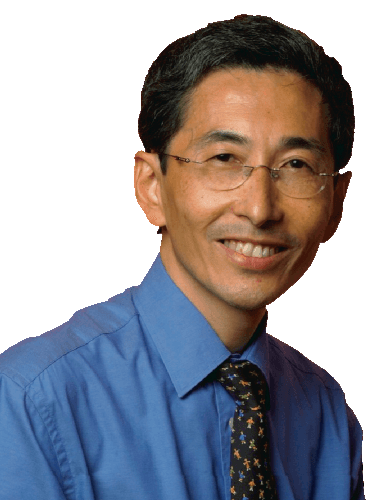 In addition to holding the above positions, Dr Leow also became the Deputy Director of The Cancer Institute. The Cancer Institute is responsible for developing and coordinating all medical and surgical cancer services for the western half of Singapore. Apart from being fully trained in general surgical procedures, Dr Leow possesses sub - specialty skills for performing complex liver surgery, biliary resection and reconstruction surgery, pancreatectomies, colorectal resections and laparoscopic surgery. Dr Leow resigned from his tenured position as Associate Professor of Surgery, NUS, Senior Consultant Surgeon, NUH and Deputy Director of The Cancer Institute to establish his private surgical practice in order to devote all his time to his professional passion – to serve and to treat patients.